One of our primary goals at the Mastercoin Foundation is to provide innovative solutions for unsolved problems, and to suit what we build to the needs of those who wish to use it. This past week was just that: what do those who are integrating Master Core need from the platform, and how can we provide that in a timely, robust manner? On Monday, the Foundation released version 0.0.7 of Master Core, which was promptly gobbled up and integrated by a variety of exchanges, asset issuers and payment processors for their upcoming Master Protocol launches. In this release, we added p2sh multi-sig for sends and asset issuances, a new way to issue assets that provided more flexibility for issuers, and lowered the required Bitcoin transaction fees to 1/5th of where they were originally. 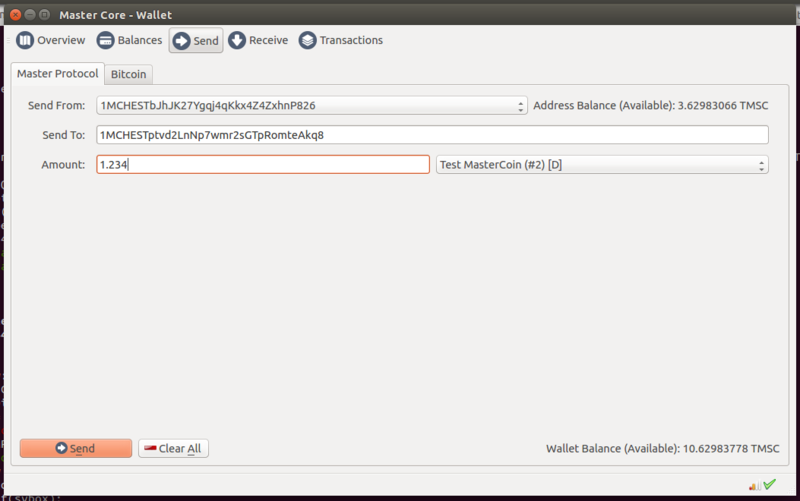 Integrators and testers have been busy hammering against these features on Bitcoin Testnet and the Mastercoin Test Ecosystem in preparation for the full-fledged live ecosystem mainnet release next week. A few notable enhancements that were provided were for two major projects that will be launching within the next few weeks, and laying the groundwork for other major projects that will be launched within the next few months. Those include multi-sig security and send-to-owners functionality, and firming up the spec for Savings Addresses while tidying up the remaining MetaDEx functionality. Integrators have provided amazing feedback on how to revoke issued tokens elegantly, how to make it more opaque to the end-user that Bitcoin 2.0 projects are riding on top of bitcoins as they move across the blockchain, and what kind of administration needs that asset issuers need to properly manage their asset portfolio. Some of these things are protocol-level, while others are interface and presentation to the end-user. The 0.0.7 release can be downloaded here for any and all wishing to play with the last sneak peek before the official launch next week. The MetaDEx (meta-coin decentralized exchange) will be the next major feature in Master Core after next week’s launch, and professional traders have provided input on how best to interact with it, and Omniwallet is being prepped to provide an easy-to-use user interface for you and me. A write-up on the merits and utility of the decentralized exchange is in the works, and the information such an exchange can provide with the assets planned for launch in the coming weeks will begin to demonstrate the power of decentralization and smart contracts. The final touches on the Master Core UI will be completed this weekend, and a Bitcoin Core-based downloadable wallet will be made available for all Master Protocol users. As usual, the development teams at Mastercoin have been hard at work polishing and testing these features so that they can have the greatest impact upon release. We’re excited that we’re on the home stretch, and we know that you’ll be impressed with what is delivered. If you see the potential and want to join the journey, we firmly believe the more masterminds the better. Everyone is always invited to contribute, so please feel free to ask me anything, and to get involved. We’re getting more and more interested parties such as developers, issuers and innovators each week as we build momentum for the future of digital financial platforms. Come join us.